Pure Ludington hosts a number of local artists - and if you want to get in on the action - all you have to do is ask! Workshops are aplenty, and you can find them easily and register today. Art by Mary Case Gallery & Studio: Open for scheduled classes and by appointment during the winter, artist Mary Case offers workshops for any skill level. 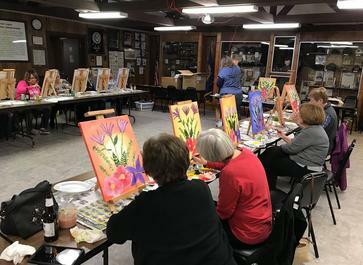 There are painting classes for all abilities with individual instruction in design, aesthetics, technique, composition, color mixing and more. 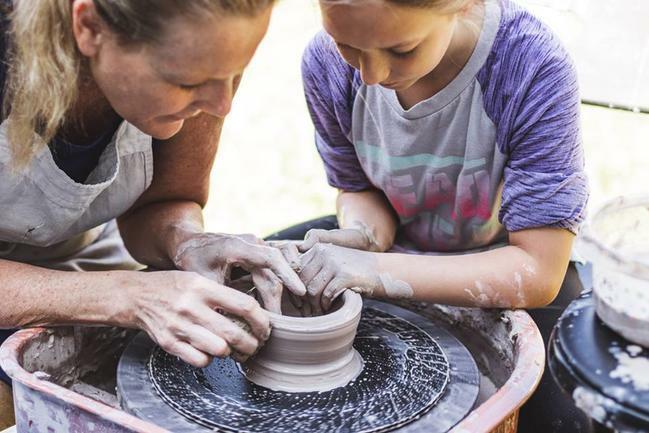 Pottery workshops with concepts, such as hand-building, wheel-throwing, glazing and firing, are available for small groups or private sessions. Check out the website or call 231.425.3720 for appointments. 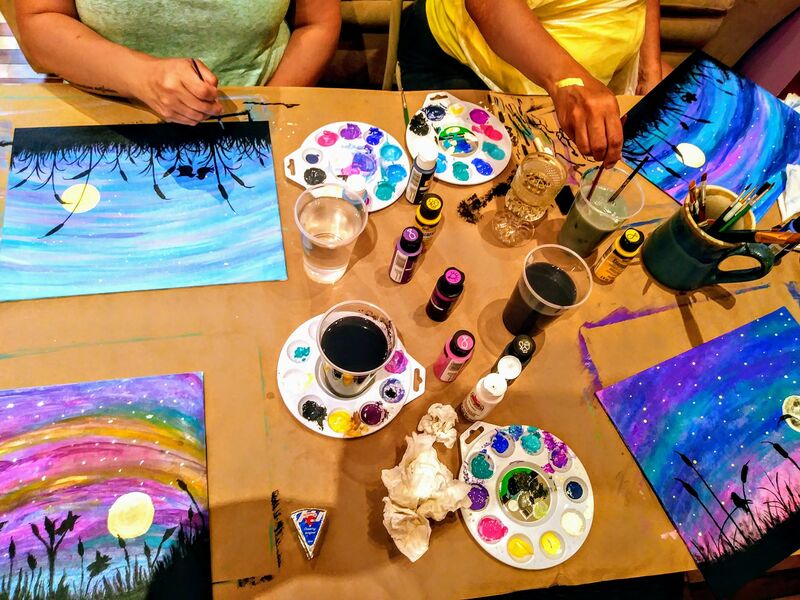 Get motivated to create your own masterpiece at Inspired Parties, a new company in the area offering painting classes. At Inspired Parties, artists will teach you step by step how to fashion your own painting. Absolutely no experience or artistic abilities is needed - and you get to take it home with you the same day. Check out the company Facebook page for the latest information on classes held at local businesses and at Inspired Parties’ own location. calligraphy, clay or painting, you will find it at the Ludington Area Center for the Arts. If you find that you really enjoy it and would like ways to improve your work, you may even join a Visual Arts Critique Group. Workshops for the performing arts and literary arts, including a high-school 4-H Club for writers that meets monthly, are additionally offered. 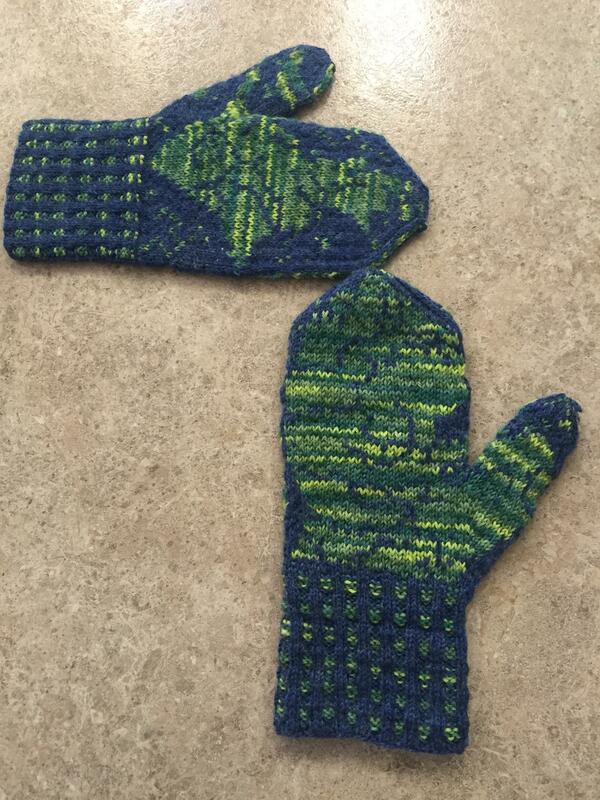 Knitting & Crocheting: If you want to learn to knit or crochet, or just learn a new technique in the genre, go to one of Nautical Yarn’s classes. Learn to make a hat, scarf or shawl and make some new friends in the process. Knitten at the Mitten is a local group that regularly gets together at the Mitten Bar to work, mingle and share ideas. The group’s calendar is online. Photography: Todd & Brad Reed Photography has planned a list of workshops for 2019, designed to allow you to look at the world through photographs. “Picture Perfect” workshops are planned throughout the year, so check out the website, or sign up for private lessons by emailing info@toddandbradreed.com. Wine making: Learn to make your own wine through an 8-week course at Love Wines of Ludington. Here, you can learn all about fruit preparation, tasting, bottling and equipment. At the end of eight weeks, you will have 2.5 cases of wine to take home with you. Check out registration here. Workshop Wednesdays is a series of fun arts and crafts classes for ages 6 and up, offered at the Ludington Center for the Arts. The free program is held at 3:30 p.m. on Wednesdays. Sandcastles Children’s Museum is another location that holds regularly scheduled arts and crafts activities for kids. It is open on weekends during the winter, so watch for entertaining activities, like those involving penguins, polar bears and snowmen - all season long. Check out children’s clay classes, after-school art and personal art lessons for kids at Mary Case’s Gallery. All materials are included in workshops, which are designed for all skill levels. We would love to see what you were inspired to do! 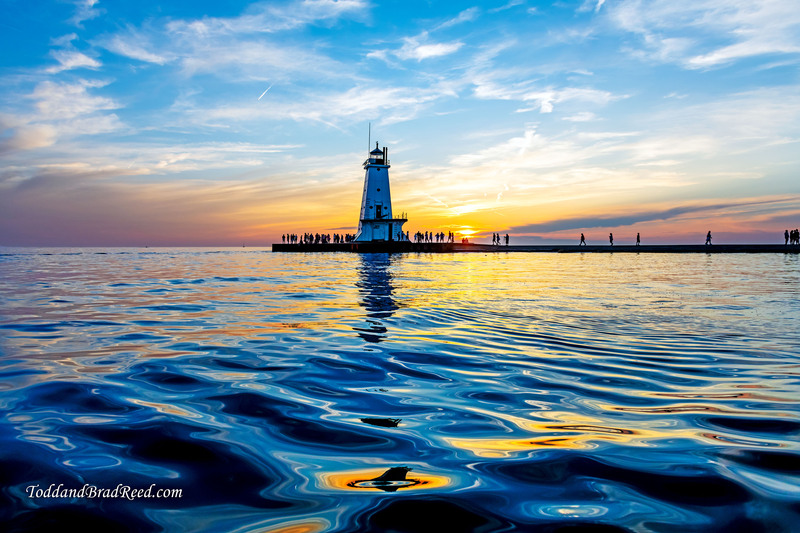 Share your photos and ideas with us on Facebook, Twitter or Instagram using #PureLudington. *See galleries’ pricing for individual workshops on their websites.